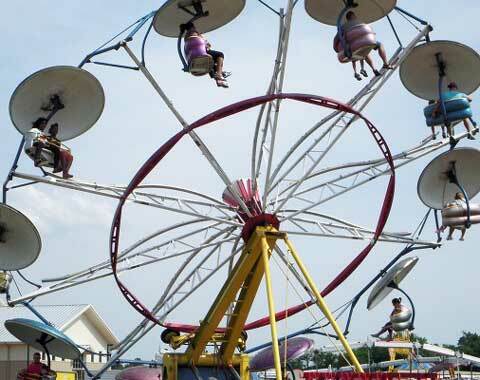 Paratrooper ride, or paratrooper carnival ride is a thrilling amusement ride that moves slantingly. Sitting in the chair, passengers ascend and descend, like traveling in a wonderland. In the evening when LED lights sparkle, the scene will be more dreamlike. 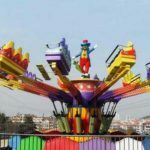 Paratrooper ride for sale in Beston Amusement Equipment includes 8 arms, 10 arms and 12 arms and can accommodate 16, 20 or 24 passengers with each cabin holding 2 persons. 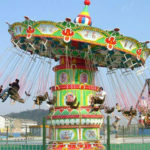 These paratrooper rides for sale are classic amusement ride in any carnival, amusement park or fairground. 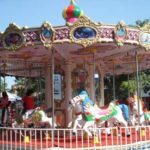 Both adults and children enjoy riding it. Interested? Feel free to ask the price at any time! 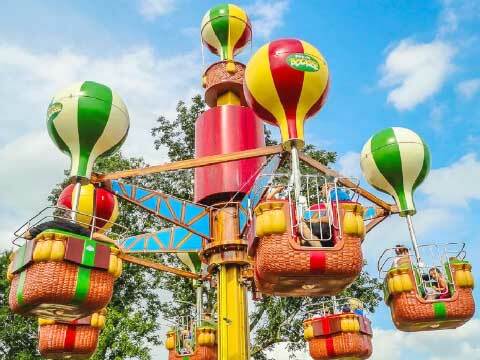 As one of a large-size amusement rides, Beston paratrooper ride for sale can rotate by itself and move up and down, at the same time, its speed can be adjusted. 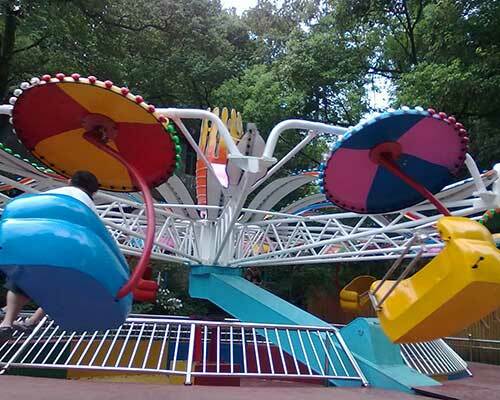 When the paratrooper amusement ride starts, the big turnplate begins to move in a circle and seats are thrown to ascend and descend back and forth, just like flying in the sky taking a parachute. That’s also the reason why people call the ride paratrooper ride. Passengers who are sitting in the chair is able to enjoy the feeling of freshness when they are thrown to the air and then move up and down accompanied by the change of gravity. 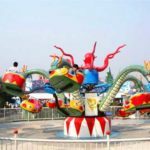 In addition to paratrooper ride, paratrooper amusement or carnival ride, the ride is often called parachute ride, umbrella ride and even double flying ride. 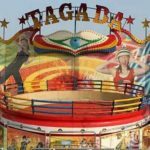 The paratrooper ride for sale in Beston is composed by a large wheel and many chairs. These chair seat is hooked to the wheel and each chair accommodates two people. Its working principle is similar to a Ferris wheel. These chairs that suspended below the wheel rotates in an oblique angle and are free to rock and swing under the influence of centrifugal force. 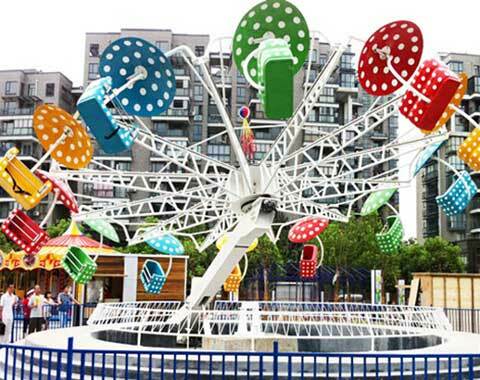 A round-shaped umbrella is above the chair, which makes the ride more beautiful and attractive. 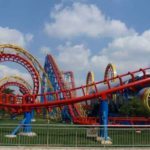 Although many people think that the ride is scary when it reaches the highest point and everything becomes blurred when it rotates in a brisk speed, in fact, it is not as thrilling as other thrill rides, like large roller coasters, pendulum swing rides or giant Ferris wheels. 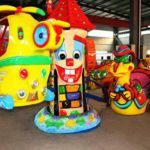 Beston paratrooper amusement rides for sale can be used in a carnival, amusement park, funfair, theme park, square and so on. It is suitable for almost all ages, except those very small children. 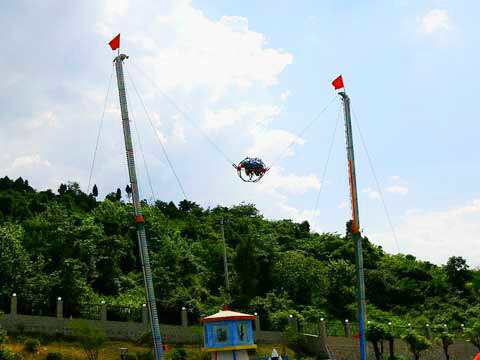 It is a really a classic carnival ride and can bring people experience of taking a parachute. 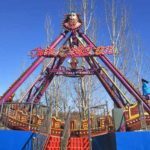 Interested in Beston Paratrooper Rides? Make sure that there is no distractions like tree branches around the ride, especially when it rotates, because the ride’s speed is fast during its rotation and if some passenger crashes into a distraction by accident, it will be very dangerous. 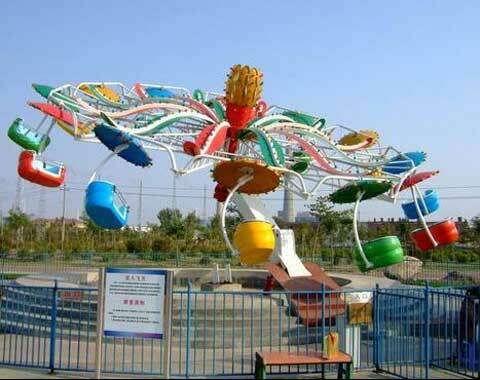 For people who are apt to get dizzy, the paratrooper amusement ride is not recommended to them. After the ride begin to move, its speed may be too fast to be borne by those people. 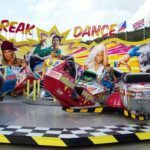 Beston paratrooper ride for sale requires riders to be at least 36 inches (about 90 cm) tall if accompanied by an adult and over 48 inches (about 120 cm) if riding alone. 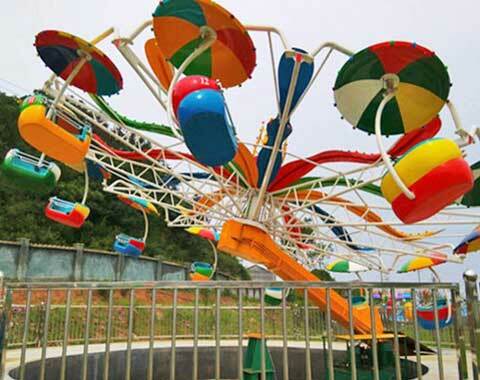 Any amusement ride is getting improvement and gets better and better with the progress of time. So does the paratrooper ride. 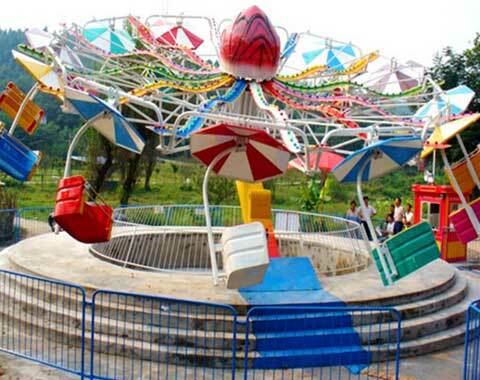 In old days, the paratrooper carnival ride’s rotating wheel is raised all the time. 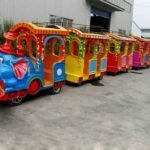 In this case, passengers can only get on, which is the ride’s disadvantage. However, in modern time, more and more paratrooper rides adopt a pneumatic lifting piston that can raise the turntable to its riding angle when it rotates. So, all seats can be loaded when the seat hangs vertically near the ground. 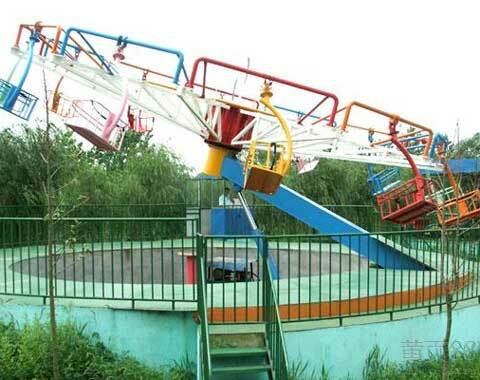 This is the progress or development of the paratrooper amusement ride. 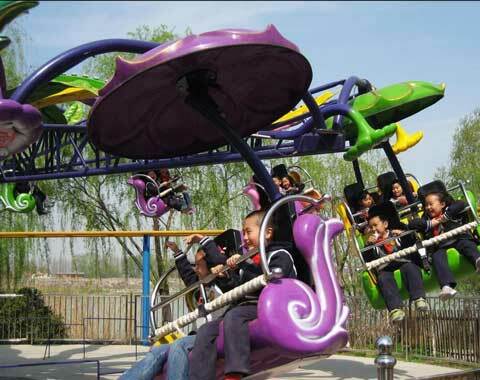 The paratrooper ride for sale manufactured by Beston is an exciting amusement ride and can bring great enjoyment to its riders. Just imagine a Ferris wheel that moves at an angle. The ride is like that. Riding it is like flying in a parachute when the ride elevate and drops in a fast speed. 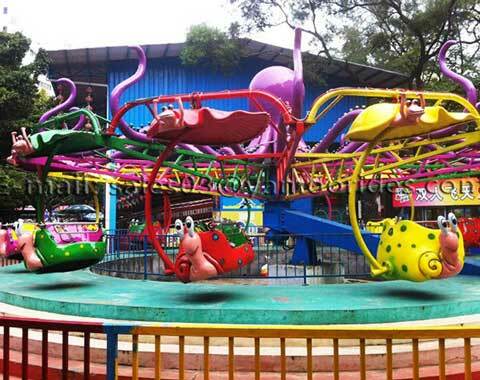 Welcome to buy the paratrooper ride for sale from Beston.